There is still time to enroll for Pre-Kindergarten! 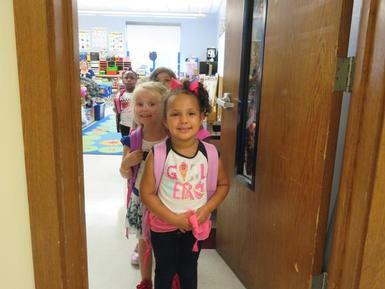 Kindergarten and Pre-Kindergarten registration for the 2019-20 school year is open. To begin the registration process, please visit the Central Registration website. Please complete the registration process as soon as possible to help with enrollment projections for the upcoming school year. Solvay UFSD offers a pre-K program for four-year-old children residing in the Solvay UFSD for the 2019-2020 school year. There is no charge to families, regardless of family income. This program is funded by special grants from the New York State Education Department. Space is still available in this program and all children who are four years old on or before December 1, 2019 are welcome to apply. To apply, children must be residents of the Solvay UFSD and must have all required immunizations. Transportation is provided to Solvay Middle School for students once they are four years old. Until then, parents are responsible for transportation. For more information about kindergarten and pre-K registration at Solvay UFSD, please visit the Solvay Central Registrar website.